The following prices are ballpark prices only. The size of your house or deck, the number of colors, number of coats, geographic location, the amount of weathering the substrate has incurred, the amount of peeling paint or stain that you have, the amount of caulking or patching that you want done, the amount of flowers, plants and shrubs that we have to work around, the height of your home, the elevation of the property and the number of windows and doors all could have an affect on the below pricing. The below pressure washing prices typically include rinsing down the grass, plants or shrubs before application of the cleaning solution so that they are protected, applying the proper cleaning solution and mildewcide to the substrate in a manner that will not permanently streak the siding, rinsing the vegetation again with water and pressure washing the surfaces from a close enough distance with a 40 degree fan tip to clean and/or remove some of the loose paint or stain and/or remove some of the gray UV damaged wood if applicable without damaging any of the substrate. Windows that get wet and spotted are then washed by hand, rather than a squeegee, when we are done. Or Average Size Deck with Spindles, Railings, and Steps or a Driveway/Sidewalk. Or Large Deck with Spindles, Railings and Stairs. Or Average 3 Story House. The below deck staining prices typically include rinsing down the grass, plants or shrubs before application of the cleaning solution to protect the plants, applying the proper cleaning solution and mildewcide, rinsing the vegetation again with water and pressure washing the surfaces from a close enough distance with a 40 degree fan tip to clean and/or remove some of the loose paint or stain and/or remove some of the gray UV damaged wood if applicable without damaging any of the wood. Windows that get wet or spotted by the pressure washing are then washed by hand, rather than a squeegee, when we are done. We then wait 1 week or longer and test the wood ensuring a moisture content around 15% or under. We then lay down drop cloths, apply plastic and tape over selective areas, scrape,wire brush and sand off loose stain or paint if applicable and vacuum up the paint chips. The stain is then applied by a roller, then back brushed into the wood grains working on only 2-3 boards at a time to eliminate unsightly lap marks. We also brush in between each board eliminating unsightly runs and sags. We do not spray paint our decks. The below house painting prices typically include rinsing down the grass, plants or shrubs before application of the cleaning solution so that we do not damage the vegetation, applying the proper cleaning solution and mildewcide, rinsing the vegetation again with water and pressure washing the surfaces from a close enough distance with a 40 degree fan tip to clean and/or remove some of the loose paint or stain and remove some of the gray UV damaged wood if applicable without damaging any of the substrate. Windows that get wet or spotted by the pressure washing are then washed by hand, rather than a squeegee, when we are done. We then wait 1 week or longer and test the substrate ensuring a moisture content around 15% or under. We then come back and lay down drop cloths, apply plastic and tape over the windows, doors and other selective areas, scrape or wire brush off loose stain or paint, vacuum up paint chips and caulk selective gaps. We then apply 2 coats of self priming paint or solid stain to your home following the Painting and Decorating Contractors of America Standards. 1 Color. Labor, Paint and Material. 2 Colors. Labor, Paint and Material. The below log home staining prices typically include rinsing down the grass, plants or shrubs before application of the cleaning solution to protect the plants, applying the proper cleaning solution and mildewcide, rinsing the vegetation again with water and pressure washing the surfaces from a close enough distance with a 40 degree fan tip to clean and/or remove some of the loose stain and remove some of the gray UV damaged wood if applicable without damaging any of the logs. An extra oxalic acid treatment is typically used on severely gray or dark UV damaged wood. Windows that get wet or spotted by the pressure washing are then washed by hand, rather than a squeegee, when we are done. We then wait 1 week or longer and test the substrate ensuring a moisture content around 15% or under. We then come back and lay down drop cloths, apply plastic and tape over the windows, doors and other selective areas, scrape, wire brush and sand off loose stain or paint, vacuum up debris if applicable and caulk selective gaps and splits in the logs. We then apply 1-2 coats of Log Home stain depending what is needed and 1 coat of Log Home clear coat. We use Sikkens and Lifeline products, depending what was used on your log home before. Lay down drop cloths, clean degrease, scuff sand, scrape and feather sand any failing paint, remove dust by vacuum and tack cloth, apply masking tape where needed and apply 2 coats of paint. Typically 2 trips out. 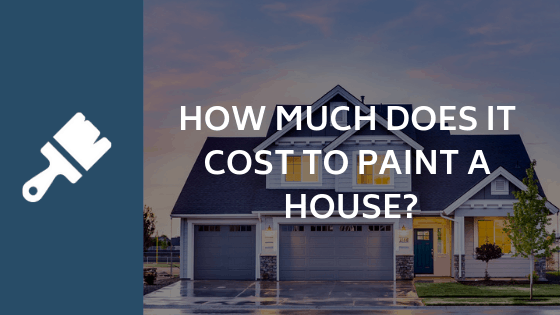 If we are already painting your entire house, the price of entry doors would cost 50% less. Flat doors would cost 50% less as well. Lay down drop cloths, clean, scuff sand, scrape and feather sand any failing paint, remove dust by dust brush, apply masking tape where needed and apply 2 coats of paint. 1 Car Garage. Labor, Paint and Material. 2 Car Garages. Labor, Paint and Material.